An e-learning course has many important elements, such as text, imagery, audio, and navigation. But the text is almost always what conveys the bulk of the information to your learners. Graphics, videos, and audio are usually extras to help drive a point home. There are a lot of different ways we use text in e-learning, from navigation items such as buttons, hyperlinks, and menus to introducing, conveying, and supporting the actual course content. For the latter, sharp writing skills are key. 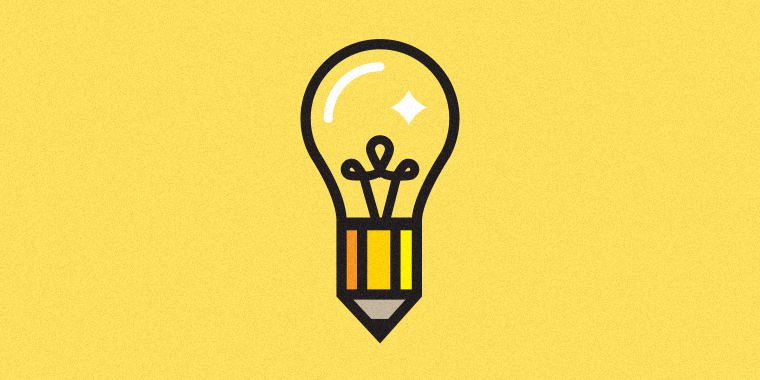 Here are three simple tips that will help you write course text that’s clear and compelling for learners. When you take your first stab at writing content, it’s bound to be imperfect. That’s why you should ruthlessly edit everything you write. Get rid of any verbiage that is redundant or repetitive. Scrutinize every word, asking yourself: Does that word really need to be here? Can I still get my message across without it? Get rid of “Valley Girl” modifiers; “very,” “really,” and “totally” don’t add much meaning to any sentence. An important aspect of e-learning design is sharing information in a way that is clear, concise, and easy to understand. Make sure your writing supports that! If you can explain something in eight words instead of twenty, do it. If you make mistakes in grammar, spelling, or punctuation, your course will look sloppy and unprofessional, and the meaning of your words could be altered. Review your text with these specific items in mind, and make sure your grammar and punctuation are consistent throughout. Align verb tenses so they agree. Review homophones (such as you’re, your, their, they’re, there, it’s, its, etc.) so they make the correct references. One of the most important things with writing is to persuade someone else to review it. Why? As the writer, you’re too close to the content to be able to spot potential mistakes or errors that someone else might see. Choose someone with strong language and writing skills. They should keep an eye out for spelling mistakes, grammar errors, and anything that isn’t clear or doesn’t make sense to them. From there, you should take this feedback to heart and make all the edits. A majority of the time, you’ll end up with a better end product when you consider another person’s fresh perspective. These are just three simple steps you should follow to make sure your next e-learning course has the best text content possible. Do you have your own writing and editing tips to share? If you do, please leave a comment below. Great tips Nicole! Writing for e-learning is not easy when you're first starting out. This is especially true when the majority of it needs to be communicated on the screen. That' why I always say: "Don't write anything you can't communicate visually." Yes, it's not easy, specially when you're not a native English speaker. But your last sentence Tim is telling me, that my statement above isn't the most important. Proper grammar and spelling are vital to clear writing. Not sure about the rules? I recommend "Woe Is I: the Grammarphobe's Guide to Better English in Plain English," by Patricia T. O'Conner. It's an easy-to-use grammar resource, written with a sense of humor. A point I would add about reviewers is, if possible, also have some of your intended audience review the writing. Often there can be differences in what and how things are said between you as the designer, the SME and then those that will actually take the course. Thank you for the great tips. I would like to add that never allow learners to question why they are in your course. I think, first of all, you need focus on your audience. For sure grammar, spelling, and punctuation are key, at least for me. Whenever I read anything and I see mistakes there I never think of the content but of those mistakes. These are trivial things but they matter just like other key elements from customwritingcompany.com. Writing is a challenge, but it's worth taking it on. A lot of good ideas, I started my life as a diesel mechanic, and went to management, then to technical writing and now E-learning developer. In the beginning grammar wasn't important, now it is my life. I have two thoughts about the article. First, technical writing is very dry and to the point. Not sure that a little personal talk doesn't help in e-learning. As long as the point is clear and concise. The second is, I have purchased a text to voice program. It's great to hear what I have written. It helps get the grammar down and find mistakes. Then I turn it over to at least two readers in my office. One that has no idea what I am talking about, and one that is a real SME. If it passes them, it's good to print. A really useful list to refresh the mind of key reviewing points. Getting a set of neutral eyes can be key in spotting those grammar and spelling mistakes that you just don't spot when you know the subject matter so well! I've been designing eLearning courses long before Articulate and from experience, you need to separate the tone of language from the task with information. The task is what needs this article is addressing - i.e short, concise and not personal. However, I strongly believe the information you provide should be conversational.